The front door sills of your Jeep see as much traffic and wear and tear as any part of your interior. 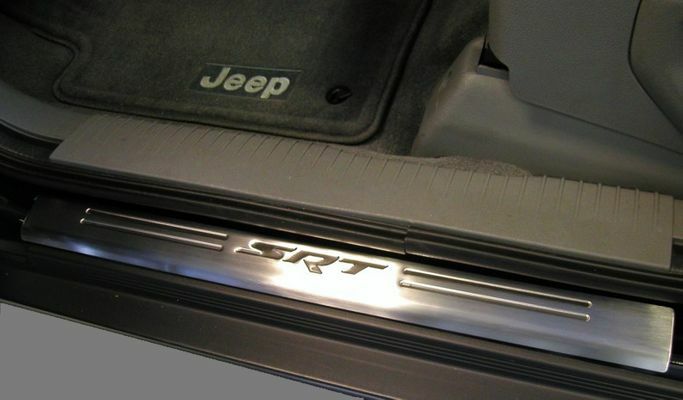 If the protective door sills on your SRT8 are showing their age, replace them with a new set from JustforJeeps.com for a good-as-new look. These SRT8 door sills are made of stainless steel to stand up to wear and weather and feature the SRT logo. They're the original equipment door sills that come on the SRT8 but they'll also fit other Grand Cherokees. They're sold in sets of two for the front doors.